ENTRANT UPDATE ...JL VDH and MARK struggle north. 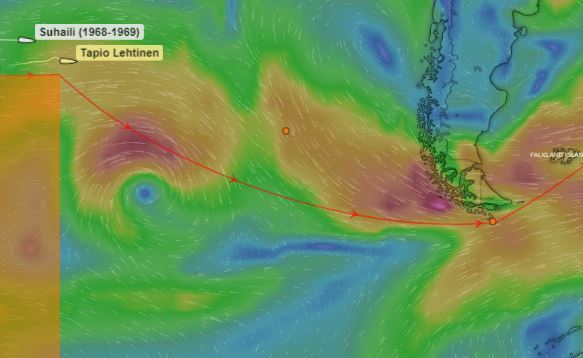 Tapio Lehtinen Sailing heavy weather has passed and the storm approaching from the NW late on the 15th is decreasing in strength, but also in direction and is now moving further West toward him. The only way for him to miss that is to now turn South instead of going SE and let it slide by in front. It was good to see him sailing fast for a change at over 5kts even dragging the Barnacles! Istvan Kopar Solo Circumnavigator is making the most of good breeze and favorable currents sailing at 5.2kts catching Uku Randmaa Golden Globe Race 2018 a little each day, so things are happy onboard. UKU is sitting in a NO WIND Hole making at times less than 1kt, feeling as if he is getting dragged South by the wrong currents. His luck is not going to change in a hurry, as he is in an area of continuing light variable winds that could become normal over the next five days slowing his progress dramatically. The expected trade winds have gone for now. 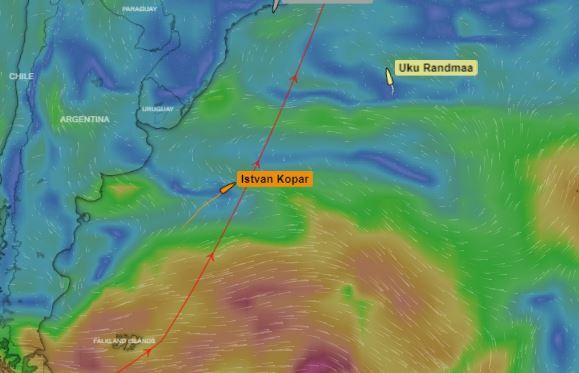 Even though ISTVAN is also going to struggle getting North, he may do better than UKU who is currently 1050 miles ahead. Can ISTVAN catch up? He will gain a little over the next few days maybe, but It will all come down to the weather. There is still a long way to go to Les Sables d'Olonne and the finish. Mark Slats continues to push hard to windward in light winds with speeds dropping to 4.8kts still in the right direction. He has kept ahead of a No wind zone chasing him from behind. that could have been disastrous for him! Conditions will soften over the next 24 hours and the direction could swing NW that will allowing him to continue North a little easier. The small Low pressure system to the North for now is dominating the wind direction and may favor Mark more than JL VDH who has stronger wind, but the direction is not helping him as it is right from where he needs to go. In 36 hours the Low pressure system dissolves into a constant light NE wind flow for both Mark and JL so their overall relative position may not change too much before then. While they both must push North for now, there is a traditional AZORES HIGH forming ahead of them in the future with NO WIND in the middle that will block their path. 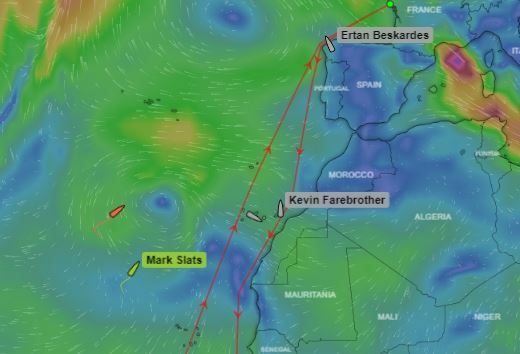 Then the race will be to get across to the NW and meet the favorable SW winds that will push then across the top of the Azores and into the final run towards Les Sables. First one across may well win the GGR so the next week is critical.